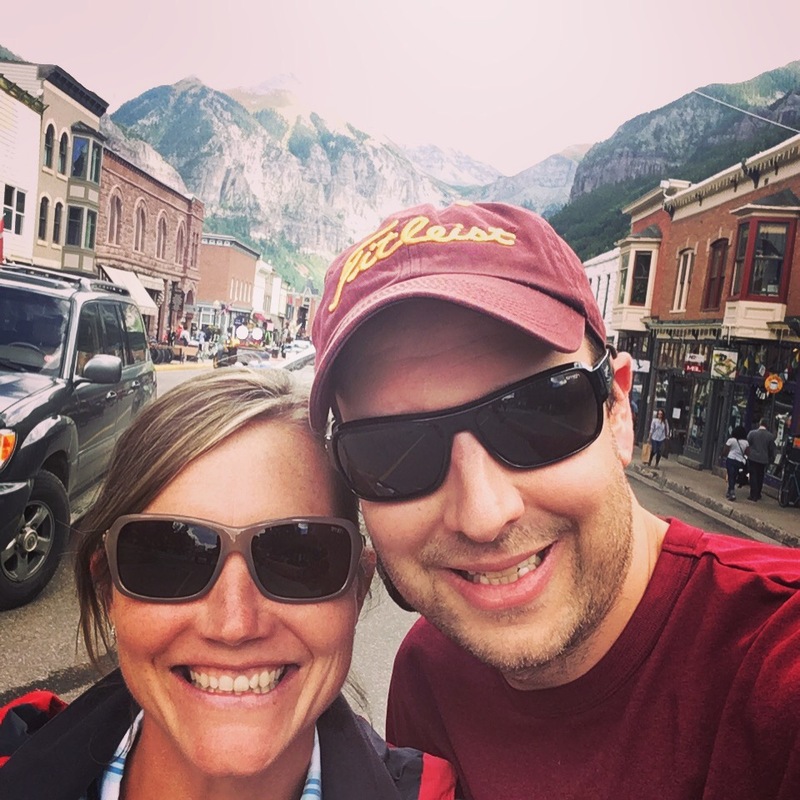 This was our 15th year attending the Telluride Film Festival…number 43 for Telluride! 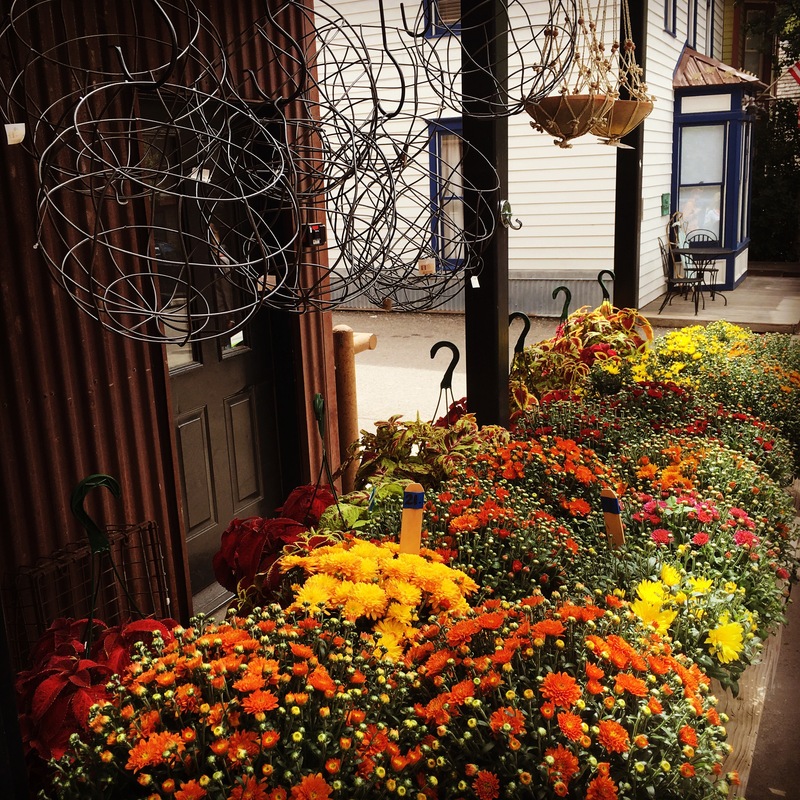 It’s a very special trip for my husband and I, and we anxiously await it all year long. 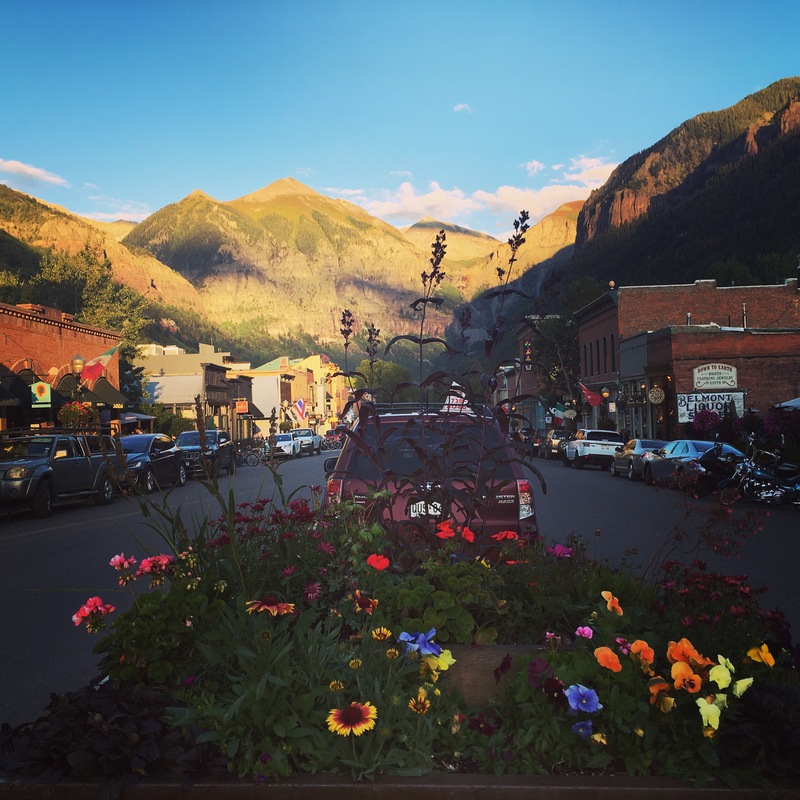 If you’ve never ventured to southern Colorado..into the incredibly jagged San Juan mountains to a small box canyon where the quaint little town of Telluride is nestled….you’d be in for a treat….and if you chose to go there during one of their many festivals, specifically the film festival over Labor Day, you’ll be in awe. It’s an incredible backdrop (this view above is looking down from the gondola ride at about 12,000 ft) for this non-pretentious gathering of actors, directors, producers and like my husband and I, film finatics! 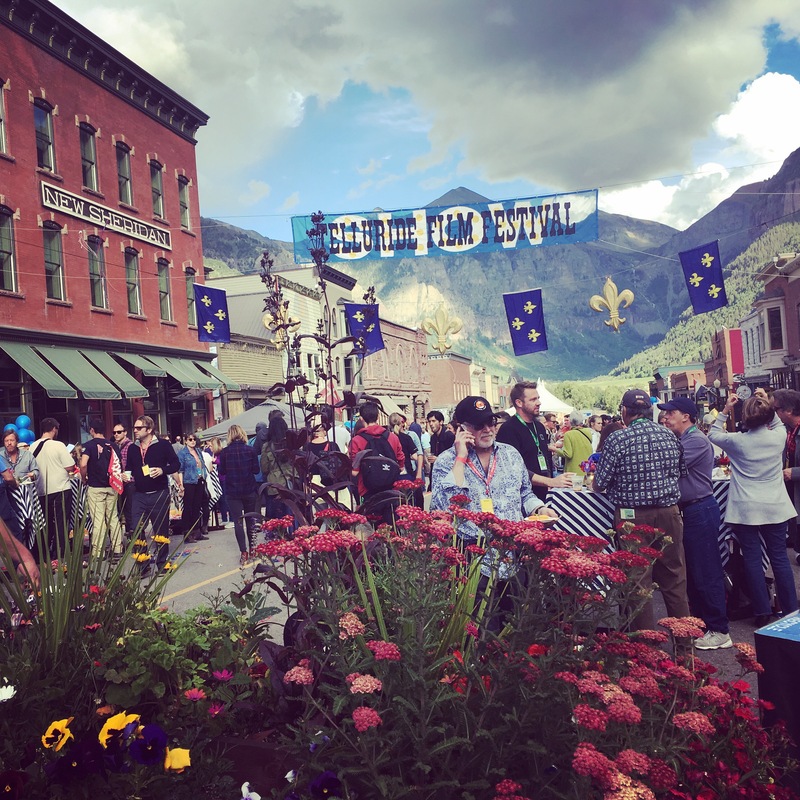 The Telluride Film Festival is attended by those who truly love the art of film…cinematography at its finest. It draws people from all over the world and is openly spoken about being the best film festival on the planet…you don’t go there to be seen…you go there to watch films. 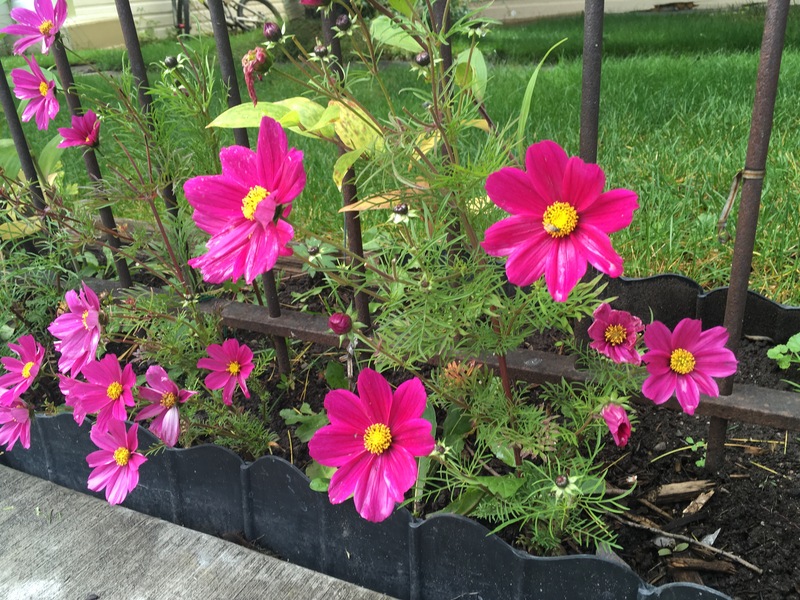 This year was no exception…a marvelous line up too long to delve into…but I will share some pics from around town as well as my top five films! It’s always hard choosing them in a particular order because this film festival doesn’t just draw the same types of movies. It brings in a few Hollywood blockbuster types, plus foreign, Indie, documentary etc. so my list isn’t necessarily in any specific order. We kicked off opening night with the much anticipated movie, “Sully” about the heroic story of Captain “Sully” Sullenberger and his copilot who managed to land their commercial airline in the Hudson. It was absolutely mind blowing to watch the scenes unfold before you; digging deeper into the story we never heard much of in the press. Tom Hanks gave the performance (as he always manages to do so) of his lifetime. He brings such emotion and life to every character he plays and this did not disappoint….it was Oscar worthy in my opinion, not that that counts for much. It was also wonderful to have the movie introduced to us that night by Tom Hanks, Aaron Eckhart (who plays his copilot) Laura Linney (Tom’s film wife) and director, Clint Eastwood. Not too shabby, am I right? Amazing…. It was hard to get a decent picture in the darkened ice hockey rink turned state of the art theater. But you get the jist of it! The view from our mountain home away from home. The second movie I highly recommend is a small documentary called “California Typewriter” by Doug Nichol. The director interviews an incredible artist who makes sculptures out of nothing but typewriter parts, a typewriter connoisseur named Martin who is quirky and a pure joy to watch on screen, John Mayer, Sam Shepard, and Tom Hanks to name a few plus the employees of the family run typewriter fixer-upper shop by the same name as the movie, California Typewriter. This movie documents what it is to be so loyal to something from a bygone era. 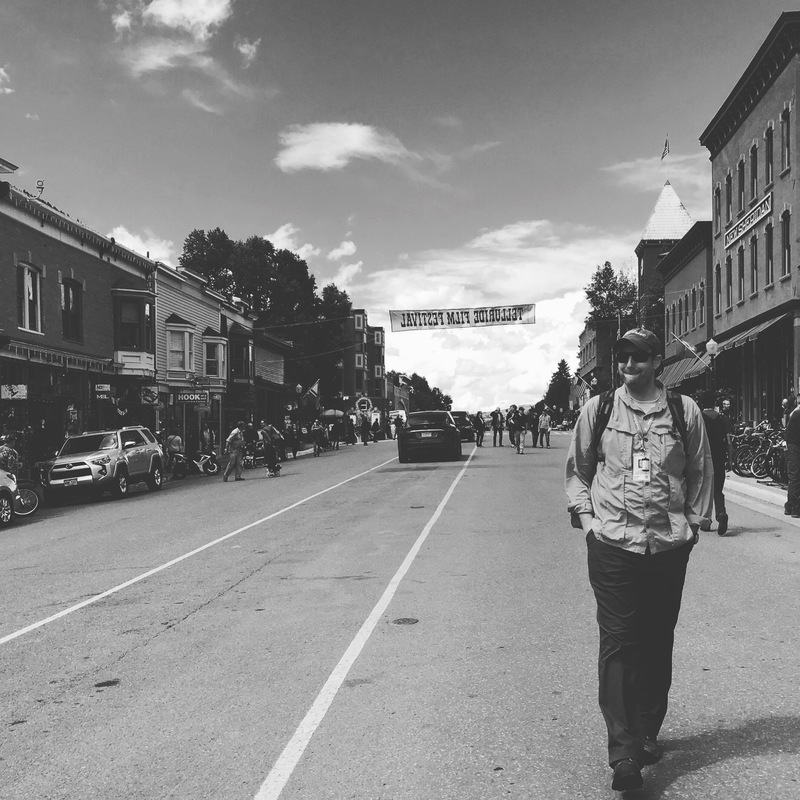 I thoroughly enjoyed every minute of this film; seeing and meeting some of the cast that brought it to Telluride and have even started my own search for a vintage typewriter….something I want to show my girls and have them use growing up. It’s quirky, humble, fascinating and downright hilarious….and I hope it gets a huge buzz going with more people into this dying art and ready for a type-in!! 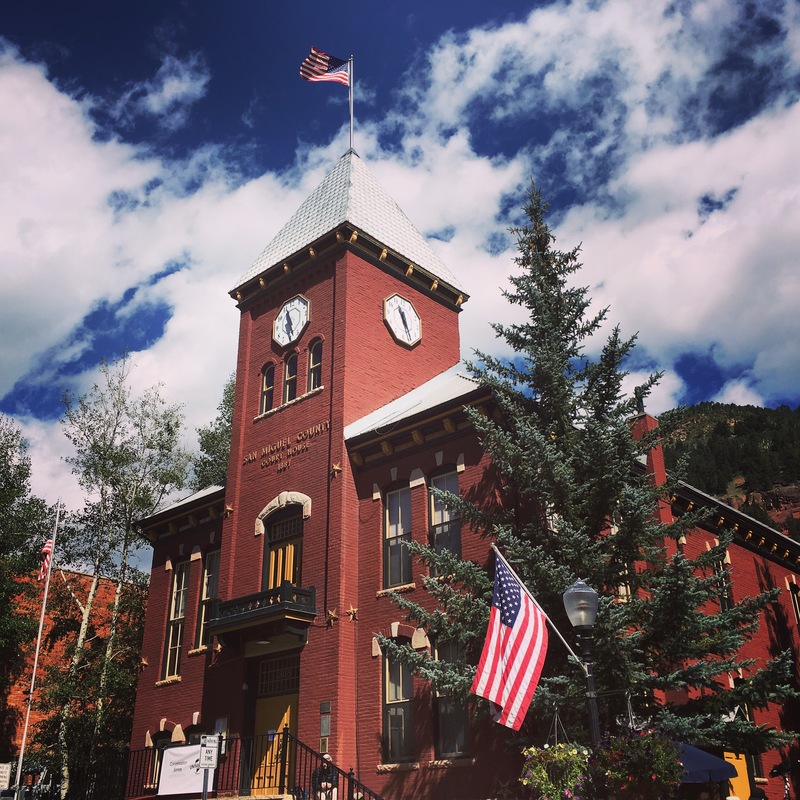 Telluride’s historic courthouse on the main street. The third on my list was “Manchester by the Sea” by Kenneth Lonergan starring Casey Affleck who was also awarded a medal this year as one of Telluride’s tributes for the 43’rd festival! This movie was not only an incredible story…pulling at every heart string, but visually one of the most beautiful movies I’ve ever seen. The use of a 4K camera makes it so incredibly clear, you feel you’re actually there…and the musical score put to this movie was achingly beautiful….I couldn’t get enough. I have a feeling this movie will be nominated in a lot of categories this year…Best Actor, Director, Movie etc. It was ironic really…how much I loved this movie….because I didn’t actually want to see it. After seeing a couple somewhat dark and heavy movies out of the Boston area at the 42’nd Telluride film festival, “Spotlight” and the Whitey Bulger film, “Black Mass” I was personally not into seeing another at this point in time…silly, but some of these movies you’re watching late into the night and can be hard to see when you’re mentally drained. I was completely taken aback and thoroughly glad we did. Just superb! 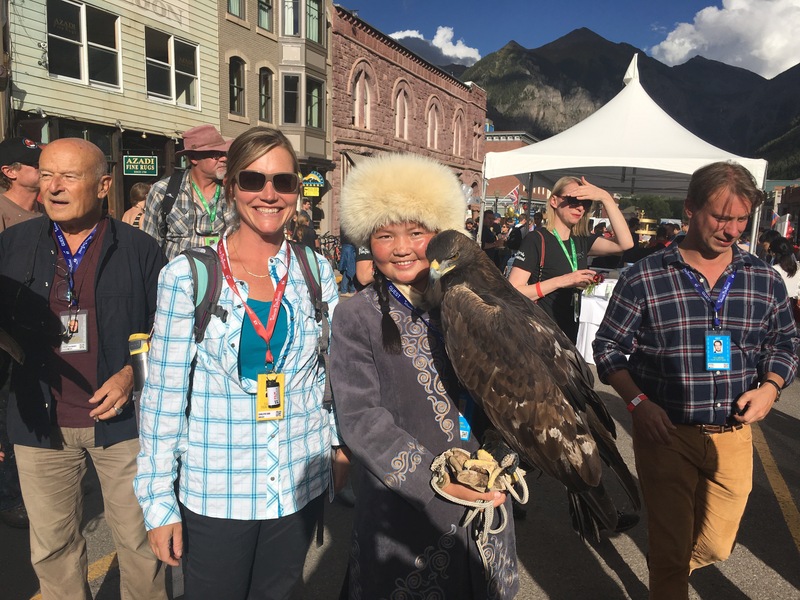 This fun pic was of me with the stars from a documentary called “The Eagle Huntress” during the opening night feed on Telluride’s Main street. I sadly wasn’t able to get my schedule to align to see this but the buzz about it was wonderful and I’ll be sure to watch this as soon as it’s released. My second to last movie for this blog is called “Una” by Benedict Andrews starring Rooney Mara. It’s deep and dark and although its underlying story is a hard pill to swallow especially when you’re a parent to two young girls, it was very well done and superbly acted by its three main actors, including Rooney Mara. My last movie, another documentary by one of my favorite film makers, Werner Herzog, whom usually brings his films to Telluride & is loved by everyone…so much in fact he has a theater there named after him…and it just so happens to be my favorite theater! The last movie is called “Into the Inferno” an exploration into active volcanos around the world with friend and volcanologist Clive Oppenheimer. It’s truly a fantastic science lesson in the inner workings of scientists who study these incredibly dangerous happenings as well cultures around the world and how they deal with them. The footage shown is jaw dropping…you’re literally mesmerized by the beauty of the hot magma before you on screen. 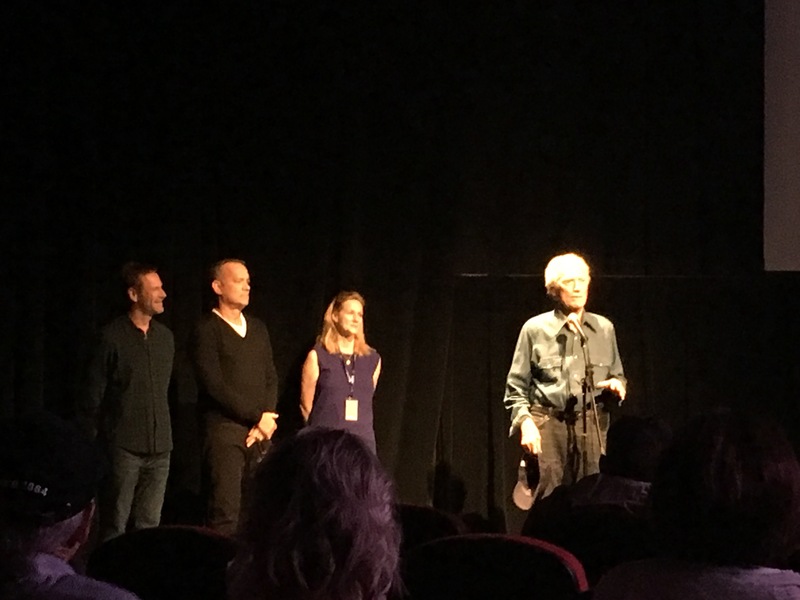 Wonderful film….I always appreciate Werner Herzog…and he never disappoints at Telluride! I always love a black and white from this old western town…so here’s my favorite from this trip! 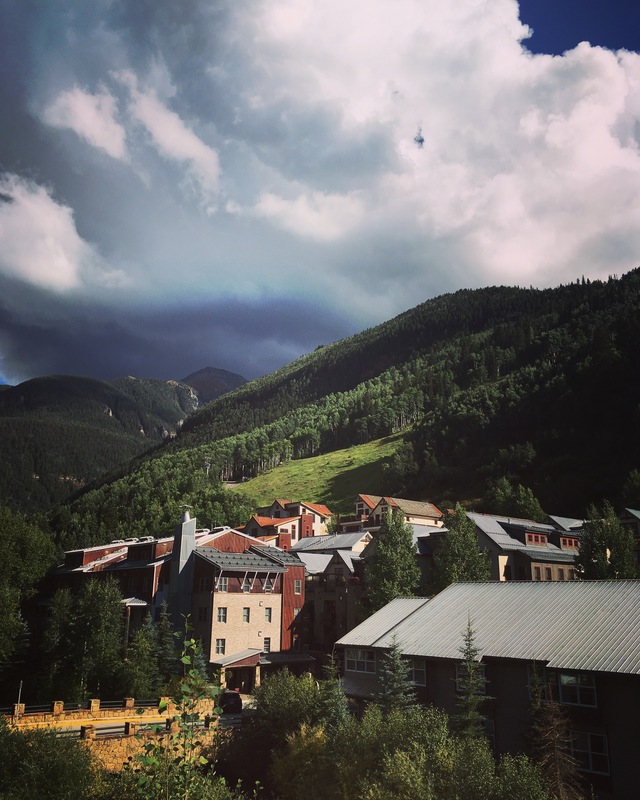 Well that’s my synopsis on my time spent in Telluride this past festival…it was truly a remarkable year….always is…and I’m sure it always will be. We got to see every film star or director that came funnily enough (doesn’t always work out that way) such as Richard Gere, Emma Stone, Gael Garcia Bernal, Jennifer Garner, Bryan Cranston, all the stars from the above films plus many more…..and I only listed 5 movies. We saw 14 total…so there were so many other great films but I don’t have time to jot them all down between naps and school pickups….and really just wanted to share these particular films because they affected me in some way. 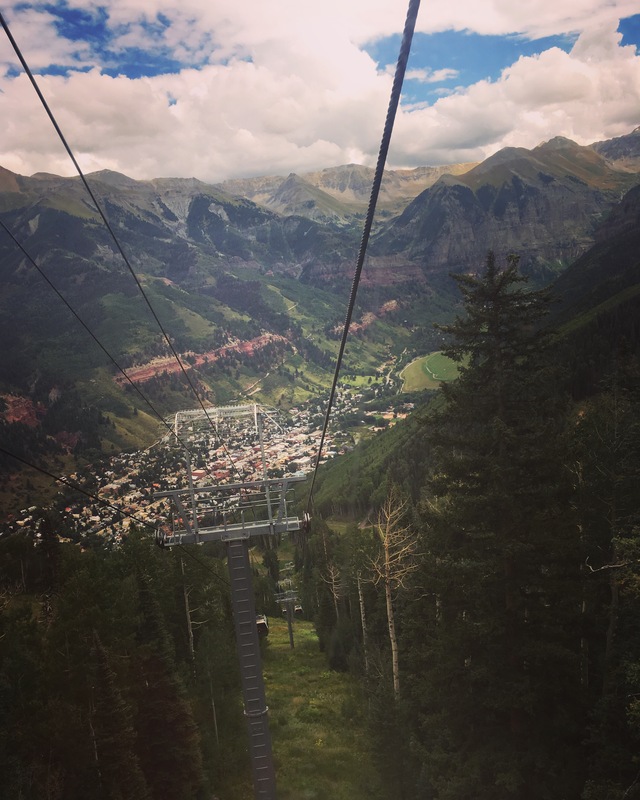 I also wanted to share some of my favorite pictures of this beautiful little slice of heaven…Telluride.